Patrick is Co-Founder and Product Lead at SHIFT by Project 100, a membership-based mobility company with a mission to connect people to the places and experiences they care about. Our promise is to have you on your way in 5 minutes. 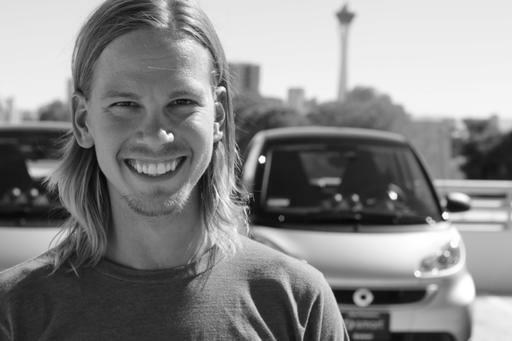 Patrick is also Co-Founder of Work In Progress, the startup hub in downtown Las Vegas. Work In Progress is the first company to bring coworking, mentorship, classes and workshops to downtown Las Vegas. His work in the mobility world landed him a position at VegasTechFund making investments in companies that are leading the mobility industry. Before venturing in the exciting world of entrepreneurship, he worked at Zappos.com as a Software Engineer and eventually Senior Manager of Campus Operations and Development. He lead the operations team and LEED Gold development of Zappos.com’s new headquarters in downtown Las Vegas. It was an entire remodel of three buildings, with a total of over 250,000 square feet, spread across 6 acres. You can signup here and see it for yourself by taking one of their world class tours. When he is not working and balancing out his life, he can be found with his beautiful wife, Kara, friends and family exploring the world and living life to the fullest. This often times consists of rock climbing, surfing, hiking, snowboarding, golfing, boating and just straight relaxing.